Many businesses today give customers what they would expect, but leading organizations are starting to break from this tradition and have started abiding by the principle of surprise and delight. Leading CX organizations no longer strive to meet a customer’s expectations; but rather seek to wow and delight them. It is with that in mind that these organizations teach their CX professionals to look for opportunities to surprise and delight their customers, turning satisfied customers into loyal brand ambassadors. 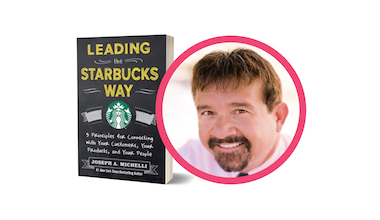 In this webinar, Joseph Michelli, best-selling author of The Starbucks Experience, The New Gold Standard, and Driven to Delight, discusses the importance of impactful moments in the customer experience, and how those memorable moments can fuel a brand. Dr. Joseph Michelli is a Wall Street Journal, USA Today, Publishers Weekly, Nielson Bookscan and New York Times #1 bestselling author. He is on the founders’ council of CustomerExperienceOne and was named one of the Top 10 thought leaders in Customer Service by Global Gurus. His latest book Driven to Delight: Delivering World-Class Customer Experience the Mercedes-Benz Way topped the NY Times best seller list. Joseph’s other books include: Leading The Starbucks Way: 5 Principles for Connecting with Your Customer, Your Products, and Your People The Starbucks Experience: 5 Principles for Turning Ordinary into Extraordinary The Zappos Experience: 5 Principles to Inspire, Engage and WOW Prescription for Excellence: Leadership Lessons for Creating a World-Class Customer Experience from UCLA Health System The New Gold Standard: 5 Leadership Principles for Creating a Legendary Customer Experience Courtesy of The Ritz-Carlton Hotel Company.